Saturday’s UFC Chile event is in the books, and now that the dust has settled in Santiago, it’s time to go to the scorecard to see who the big winners were at Movistar Arena. 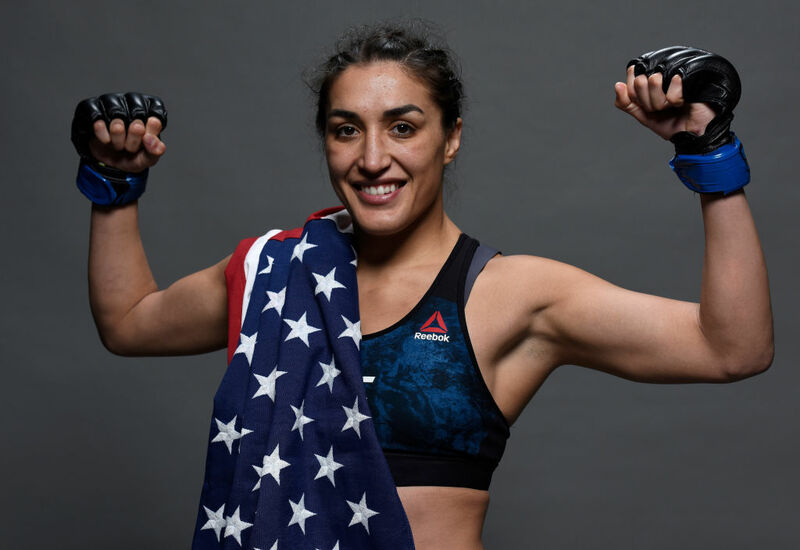 When it comes to Tatiana Suarez and her place in the strawweight division after her win over Alexa Grasso in the UFC Chile co-main event, I’ll use Kamaru Usman’s line from a couple fights ago when he said that he was going to be a problem for anyone at 170 pounds. Well, Ms. Suarez is going to be a problem for anyone at 115 pounds. Three UFC fights, three wins, three dominant performances. Yes, we haven’t seen what happens if someone can keep her standing for 15 minutes, but at the rate she’s going, that’s an answer we may not get until she’s fighting the strawweight elite. So is she ready for those folks? It sure looks like it. Despite going two for two in the UFC with two finishes, Dominick Reyes was seen by many as the underdog against veteran banger Jared Cannonier last Saturday. It made sense, because Cannonier was a rugged battler with a good chin and even better hands. If Reyes had a defensive lapse after being unable to dent that chin, it could be over in seconds. Well, it never got to that point. Yeah, Reyes took some shots, but he brushed them off and then finished a guy who had only been finished once – and that was at heavyweight. That makes it 9-0 with eight finishes for the Californian, and more importantly, he is that jolt of energy for a 205-pound division that needs all the fresh stars it can get. And if he wants fellow unbeaten Jordan Johnson next, give the man what he wants. Why number three on this list for Kamaru Usman after a dominant win over a top five contender in Demian Maia? Simply put, it was an important win, but not the spectacular one that would have left everyone talking about him around the water cooler this morning. There are a couple asterisks to that statement, though. First, he hurt both hands early in the fight. That matters. As UFC Hall of Famer Mark Coleman once told me years ago, those are not excuses, they’re reasons. Second, Demian Maia has always been a hard guy to look good against. Ask Anderson Silva or Tyron Woodley. So taking that into consideration, Usman did a helluva job against the Brazilian grappling king. But will it entice the rest of the top contenders at 170 pounds to want to fight him? No. “The Nigerian Nightmare” is still a problem, and he’s a problem no one will be in a hurry to want to solve. Like fellow Brazilian Elizeu Zaleski dos Santos, Vicente Luque has found a place on my list of fighters who aren’t just highly underrated, but who are “must sees” in the UFC. Let’s face it, Luque came off The Ultimate Fighter 21 with a spotty 7-4-1 record and then lost his debut to Michael Graves. That was almost three years ago, so it’s time to stop holding that against him. Luque has since gone 6-1 with six finishes in the Octagon, and after his first-round knockout of Chad Laprise, give this man his just due. He earned it. Humberto Bandenay was coming off a spectacular UFC debut when he was matched up with Gabriel Benitez on Saturday’s card, and I had to wonder if it was too much too soon for the Peruvian. It was, as Benitez took just 39 seconds to vanquish his foe. In hindsight, it shouldn’t be a surprise, because Benitez is really starting to make his move in the featherweight division. He upset Jason Knight in his previous fight, and now he stopped a hot prospect in less than a minute. That puts Mexico’s “Moggly” at 5-2 in the Octagon, and that’s a good place for him to be in as he heads into the second half of 2018.